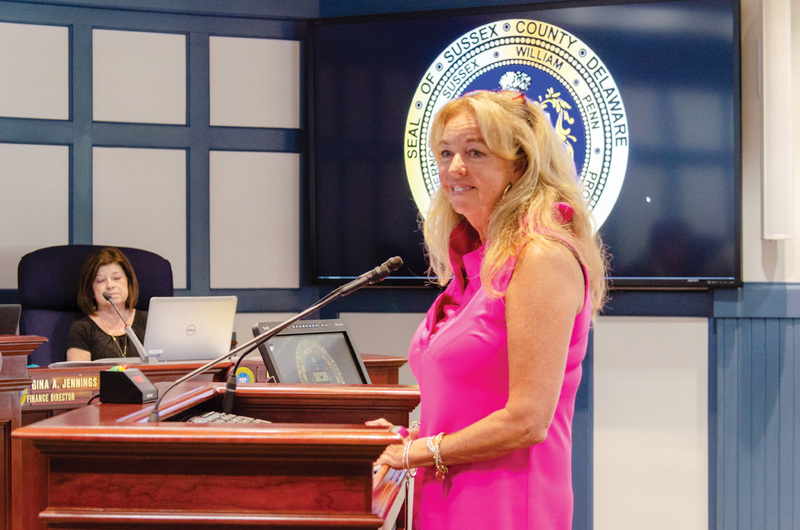 Holly Wingate was approved to be the newest member of the Sussex County Planning & Zoning Commission. “I grew up in Sussex County, and I have a great passion for this wonderful place we can all call home,” said Wingate before the council. Having been involved in construction for 34 years, Wingate said she is familiar with zoning regulations and the review process. She told the council she has been involved with many community projects, including River Soccer Club, where she served as president, as well as serving as chair for the building committee for Mariner Bethel UMC’s Hope Center. She also served on the Planning & Zoning Commission for the Town of Millville for two separate terms — March 2007 to April 2011, and May 2014 to November 2015. In terms of the role the Planning & Zoning Commission has in the decision-making process in the county, Wingate said the zoning laws must first be considered, and how a project will align with those regulations. Wingate said she comes from a family with agriculture roots and believes the industry is important to the county. Councilman Rob Arlett, who nominated Wingate, asked if she would be able to recuse herself when necessary, and asked if she could take off her “developer hat” when reviewing anything that may come before the commission. “I would absolutely recuse myself if there was any conflict of interest at all,” she said. Councilman I.G. Burton said that it is important for Wingate to have the time to not only review every application but visit each site — no matter its location in the county. “I am committed to doing the job to the best of my ability, and I understand it is not only a large county but a very busy one,” she replied. The council voted 4-0 to appoint Wingate to the Commission. Councilman Sam Wilson did not vote, having said he wished to defer the vote. The appointment will take effect July 1, following the departure of Commission Chairman Martin Ross on June 30, and last through June 2021, when the three-year term ends.